Here at O-Buds, we pride ourselves on delivering high quality brandable audio solutions and a high level of customer service; We have supplied some of the biggest names in business. We predominately supply to Promotional Product Distributors, therefore please contact your supplier if you have one. However, if you don’t then please contact us for more information. On choosing O-Buds, we endeavour to make your experience a positive one and meet your deadline expectations. We will keep you updated as your order progresses, and when your order is ready, we can deliver your branded audio products to almost anywhere in the world. Free artwork design and presentation visuals. There is absolutely no obligation to buy, so why not give O-Buds a try? 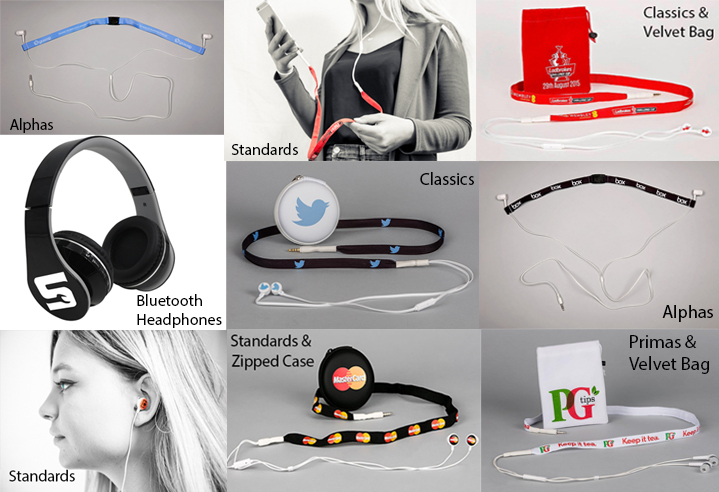 Please call us on 01264 359748, email us at sales@o-buds.com or click on ‘Contact Us‘ and we will contact you! "At first my colleagues werent convinced on earphones as promotional gifts, despite this I took a punt and ordered the O-Buds. Our Sales team soon changed their view when they saw how much the customers loved the O-Buds! They truly are a premium quality item and I believe our customers will use them for many years to come. Impressively, we ordered them at very short notice and the O-Buds team still made our exhibition deadline. I would have absolutely no hesitation in reccomending them"
"Our O-Buds delivery arrived unscathed, We are very happy with the quality of the product. The earphones have a good sound, the printing on the sleeves is accurate, and the Zipped cases look very good as well." "The O-Buds are GREAT, Thank you so much. Everyone is very impressed and we will almost certainly be ordering more"
"We needed to get some earbuds for a very important client at very short notice and the O-Buds team went out of their way to secure the stock so we would recieve the earbuds in time as well as going out of their way to make sure the artwork was perfect for our client. We and the client both loved the finished product that was supplied. Working with O-Buds has been a breath of fresh air and we would highly reccomend them." "We were so pleased when our O-Buds order arrived. They were used as "give aways" for our delegates at a conference, and were so well received. Thank you to the O-Buds team for all their help throughout"
"The O-Buds went down a storm at our recent golf event. I like the fact that they are useful as a product in themselves, and therefore keep our brand in front of our customers." "We chose to use the O-Buds as they are so different to any other marketing tool we have used before. They are such a high quality product and work as a very visible promotion of our brand. We got a great reaction from all atendees at the show." "The promotional ear phones sourced through O-Buds provided an extremely valuable tool in my 2014 campaign for raising brand awareness in the UK. Useful promotional gifts with strong branding are just the ticket. They are very much appreciated by both existing and new customers." "We found the O-Buds were a great marketing tool to give to our customers to mark our 10 year anniversary." "Great, we loved the O-Buds and so did all of our customers. A unique way to deliver our brand." "Fantastic quality audio and great to have the handsfree mic as well. The guys in the markets loved them."